1. What are the most pressing issues involving land governance in your country? 2. What are the most important issues for the researcher on land? Responses are not intended to be exhaustive, and they represent personalized images of the current situation in each country. They serve to inform and inspire discussion on land issues in the Mekong Region. This third edition of the Annual Country Reviews has been compiled at the end of 2018, looking forward into the new year. 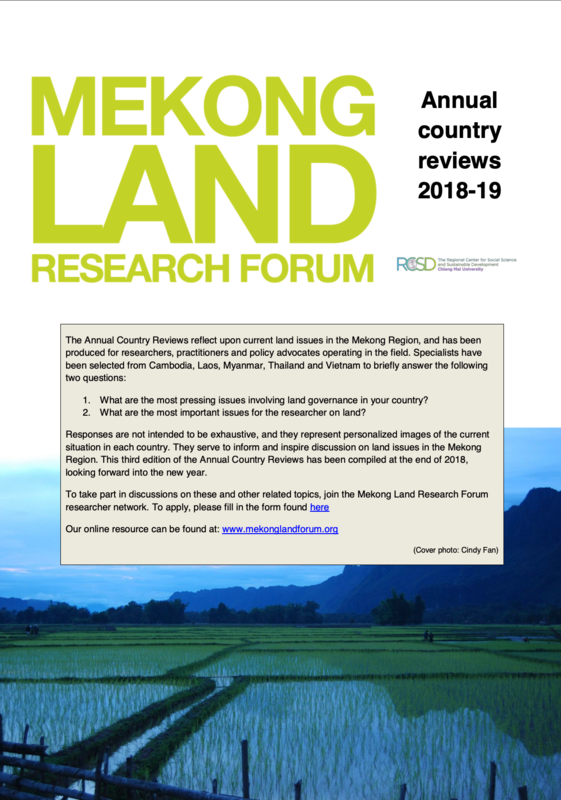 To take part in discussions on these and other related topics, join the Mekong Land Research Forum researcher network. To apply, please fill in the form found here. Founded in 1974 as a network of ‘activist scholars’, TNI continues to be a unique nexus between social movements, engaged scholars and policy makers.